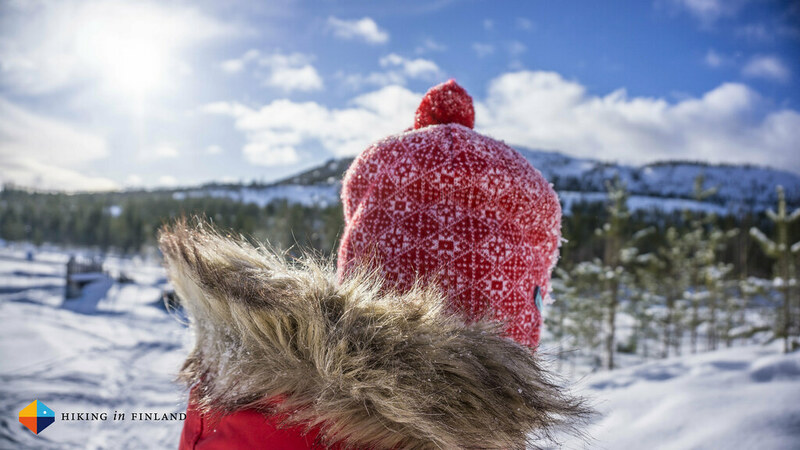 The common human relationship with winter seems to go like this: As a child you love winter. In your twenties you could life without it. And from your thirties onwards you fall in love with winter & snow again. In our family we’re all winter lovers, and as winter didn’t really visit us in Vaasa we decided to find it up north at Pyhä Tunturi. Climate change is a real bummer for winter lovers in Southern Finland. 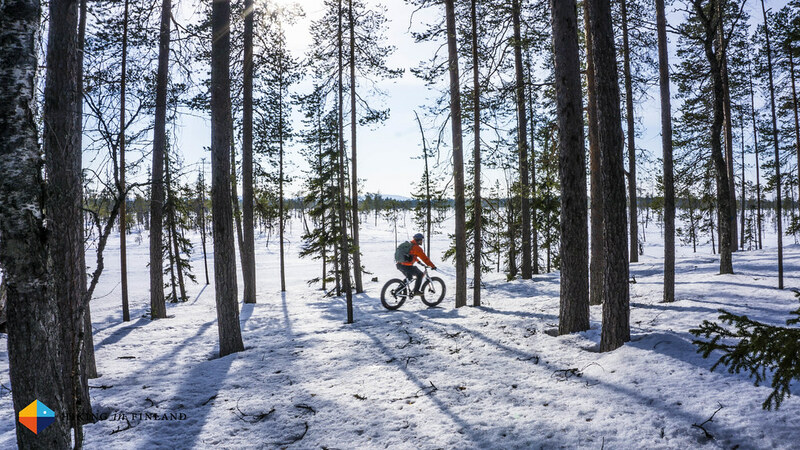 While I did get to ski and fatbike in the snow a bit back home, winter in Vaasa was a mix of snow + cold and then rain + warm temperatures which resulted in a less than nice winter. 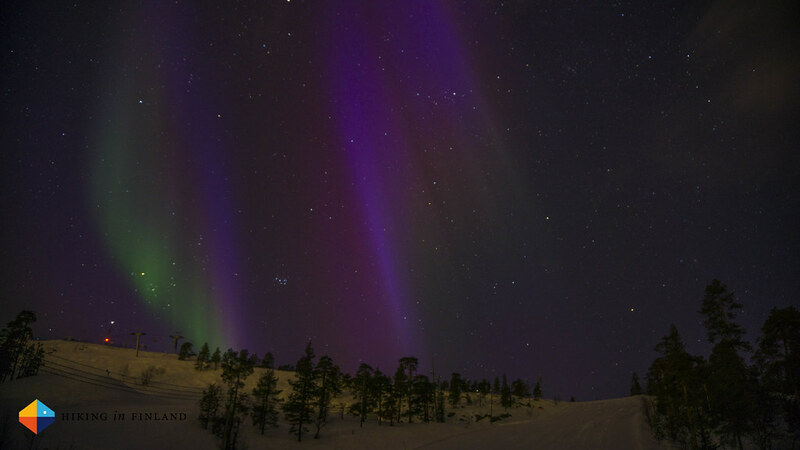 With a week of winter vacation that we could each take of, M and me decided to search winter in Lapland. After some discussions of what we wanted we quickly settled on the Pyhä Ski Resort as the best destination for us this year as it had plenty of fun winter activities to offer for all three of us, from skiing and hiking over sledding to ice climbing and fatbiking, with great accommodation options, too. A car was rented, AirBnB accommodation in Oulu was organized and the luggage was packed. It was a nice Sunday morning as we started the drive north, and it was around Oulu - 300 km from Vaasa - that we saw the first signs of Winter again. 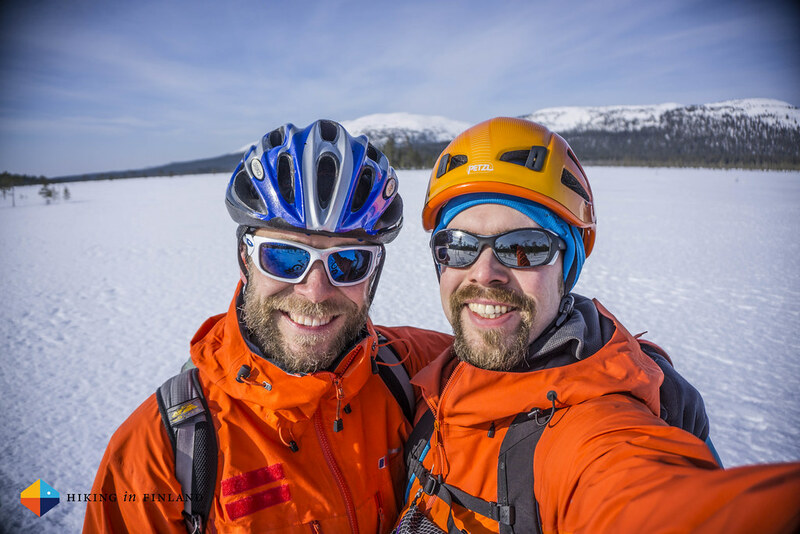 The next day we continued via a stop in Rovaniemi onwards to Pyhä, and already from a distance we could see the iconic fjells of the ski resort and National Park, with lots of snow around us and a beautiful bluebird sky promising a great week of winter fun! We checked in to the Ski-Inn PyhäSuites Apartment, heated up the Sauna and enjoyed seeing the stars in the crisp, black sky. We found Pyhä a great location for our three year old. He loved the snow and we were daily at the sled hill, which was a five minutes walk from the Nature Centre Naava (which is in the centre of the village and hence an easy reference point). The two sled hills were good fun and E didn’t get tired of sledding for many hours each day, with little rest breaks at the conveniently located open hut at the foot of the hill. Being allowed to throw another log of wood on the fire was equally nice as making snow angles and sledding together superfast with dad. There’s a ski school for kids in Pyhä too, though we decided to wait for another year to put him on downhill skis. There were lots of kids skiing, though, and the Family slopes were full with parents and kids of all ages. Close to our apartment was also a reindeer enclosure and visiting Rudolph and his friends was every time again fascinating. E also enjoyed looking how other people skied down the hills so fast, and going up with the Polar Express to the top of the fjell made him smile from ear to ear. M and me have the same shoe size, which was convenient as we loaned cross country skis and boots. M enjoyed skiing the tracks while I went a bit off-piste and explored the nearby National Park and swamp on skis. 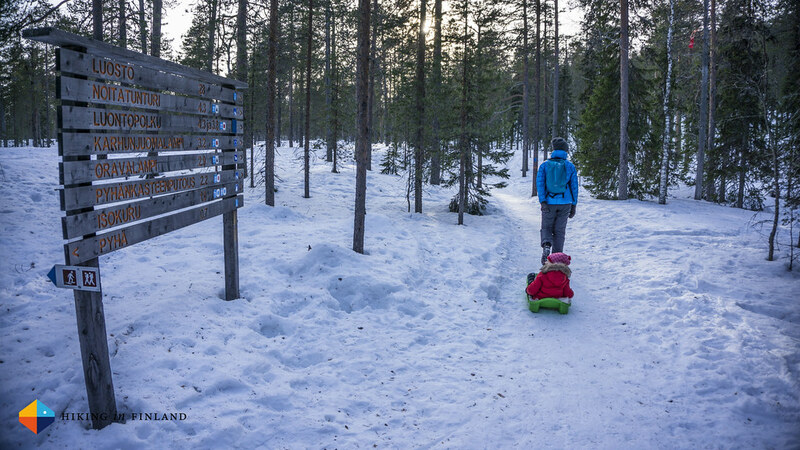 There’s surely a hundred kilometre or more of groomed cross-country skiing tracks at Pyhä and M liked the little huts and Laavus along the tracks, as they were ideal to have a short break and then ski back. The tracks vary in difficulty, from a super easy loipe that goes around a mire with zero elevations to more demanding loipes. 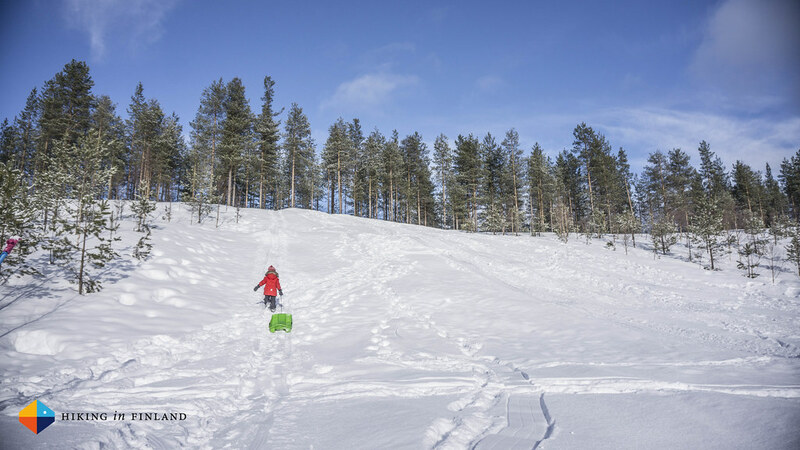 You even can ski around the whole Pyhä-Luosto National Park on groomed tracks, which is - depending on the route you choose - between 70 or more kilometres. For early morning and late night skiers there’s also a pretty long illuminated track which is lighted up from 6 in the morning till 23 at night. 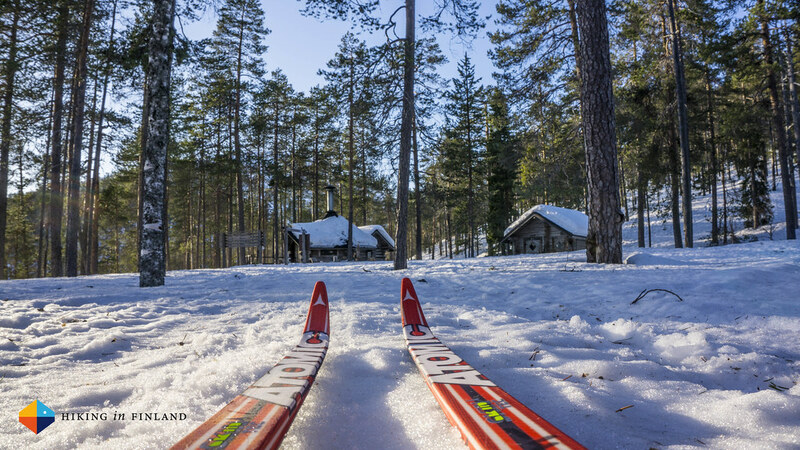 But of course cross-country skiing is just one sort of skiing you can do in Pyhä! 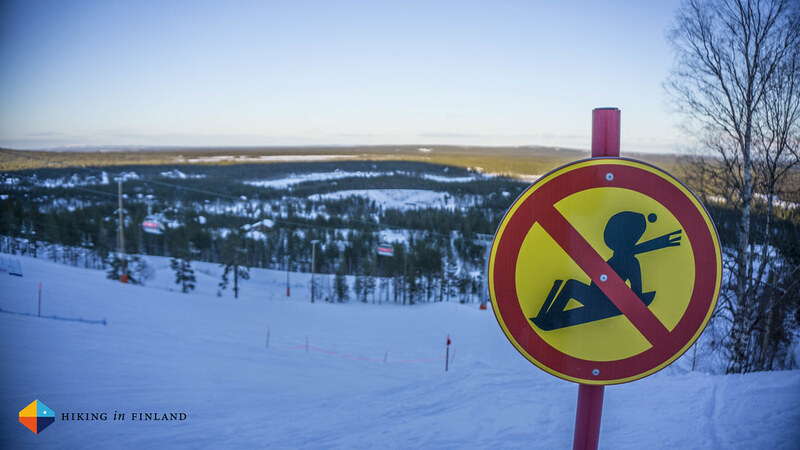 It’s very well known in Finland to be the Backcountry destination, as you can take the lift up and then pretty much ski down where you please. Sadly my DPS Tour 1 skis didn’t arrive in time otherwise I would have been out on the slopes and made some pretty turns after skinning up the hills. 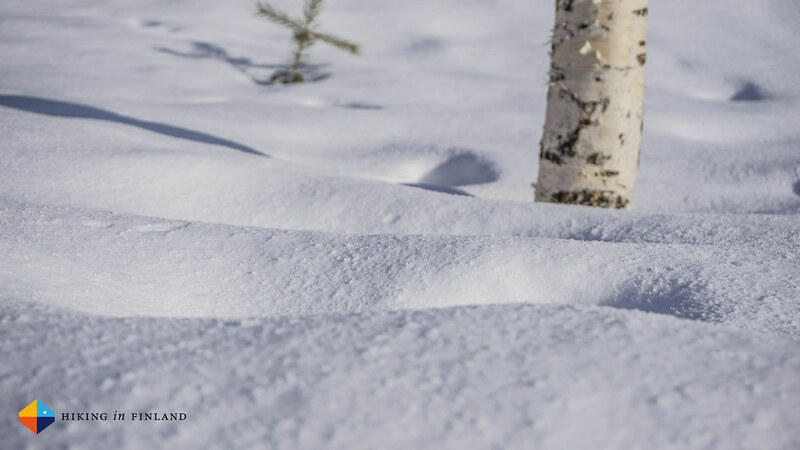 There are lots of great ski-touring options at Pyhä, so if that’s your kind of skiing make sure to take your gear along! 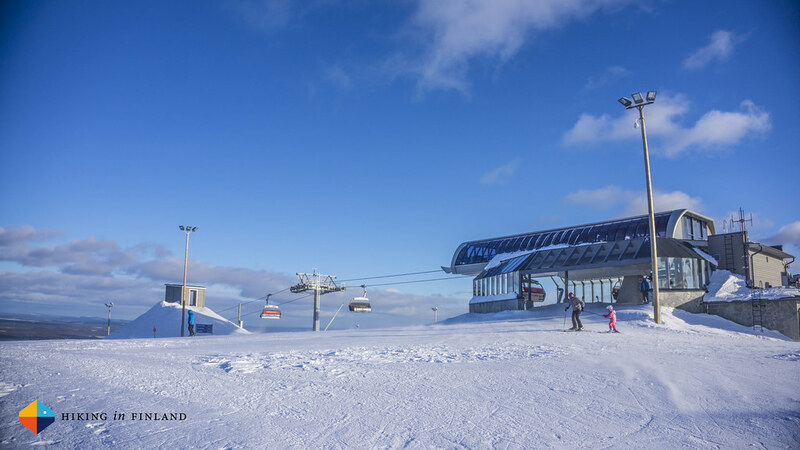 Also for downhill and Freeskiers Pyhä is a great destination, with 9 lifts, 14 prepared slopes - the longest slope being 1800 m - and the same ski pass being valid at Ruka as well Pyhä is a great destination to go snowboarding and skiing. Add in that the lifts are working super efficient and queues were non-existent and you have the ingredients for lots of skiing and fun. 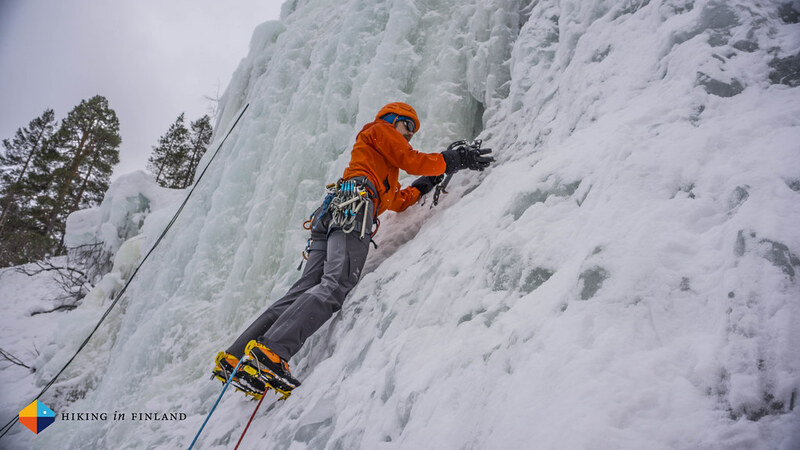 One of the reasons why Pyhä won for us as a destination is that you can go ice climbing at Tajukangas which is a short stroll from the slopes and the Pyhätunturi Hotel. My friends from Bliss Adventure run the ice climbing crag there, and I was very happy that my friend Aleksi and his colleague Mikko were there with me and were the belay masters while I was whacking some ice. And whacking ice I did! After a couple of warm-ups and checking out the routes I did my first ice lead ever, and while I was a bit nervous while tying in to my Mammut 8.5 Genesis Ropes and racking up the new Petzl Laser Speed ice screws as soon as I was on the ice and put my mind on the task ahead the fear was gone, tranquility and enjoyment flowing through me. As far as ice leads go this wasn’t the most difficult route ever, though I found the company and encouragement from Aleksi & Mikko superb and they helped me to trust myself and lead on ice. 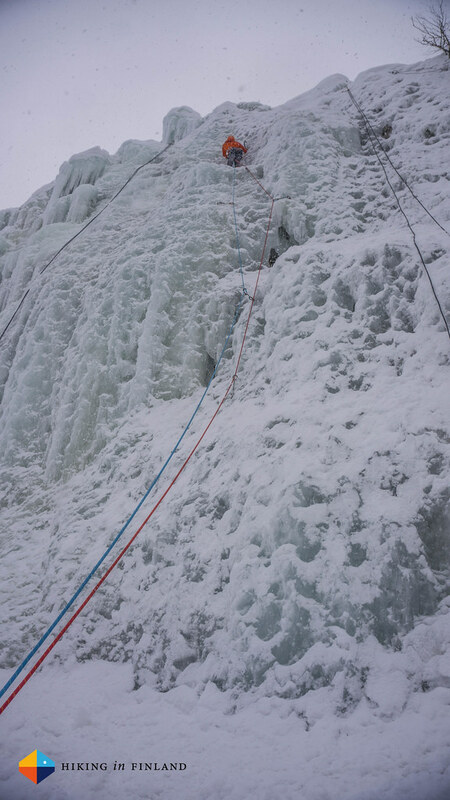 Now I’m hungry for more and hope that next winter will be much better than this one, so that there will be much more ice climbing and leading! Pyhä Wurst is a cozy little Restaurant/ Café at the bottom of the Northern Slope. They serve, as the name suggest, a variety of different sausages, and all three of us really found our food extremely tasty. Our son devoured a Hotdog - his first one! - and would have liked a second one, while M and me enjoyed a Bratwurst Hotdog and a Riistakäristys. 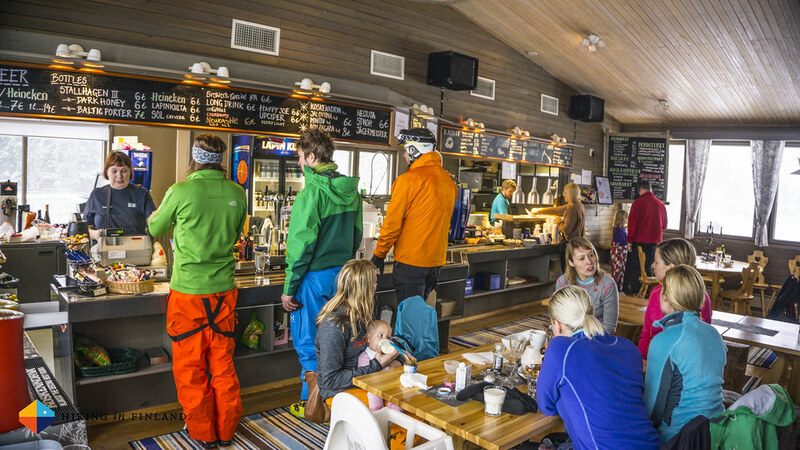 They place was very popular with skiers & snowboarders, walkers, cross-country skiers and families alike, so check them out when you’re in Pyhä and would like to taste some good Wurst! Café Loimu was another Café which we enjoyed visiting almost daily as they served some super-tasty pancakes and good coffee. They’re located in the same building as the Nature Centre Naava so kids can even go and explore the museum on their own while the parents can enjoy a moment in the Café. Café Loimu is right in the middle of the village and also has an Á la carte Menu if you want to eat a bit more than pancakes or a sandwich. The Hotel Pyhätunturi Restaurant has a gorgeous Panorama view over the surroundings and is an ideal place to conclude a nice day outdoors, especially if the Northern Lights decide to show up and play a show over the forests and mires. M ate the best Sautéed reindeer (poronkäristys in Finnish) in her life at the Restaurant and found it so tasty that she still talks about how good it was. I enjoyed The Poro which was equally delicious, while E had problems finishing his kids meal of spaghetti and meatballs. 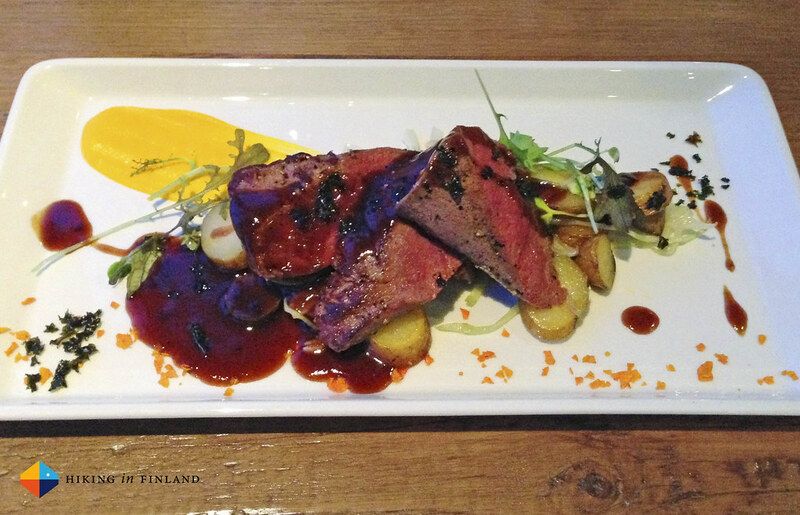 The atmosphere and service at the Hotel Pyhätunturi Restaurant were excellent and if you stay in Pyhä we strongly recommend that you visit the restaurant. 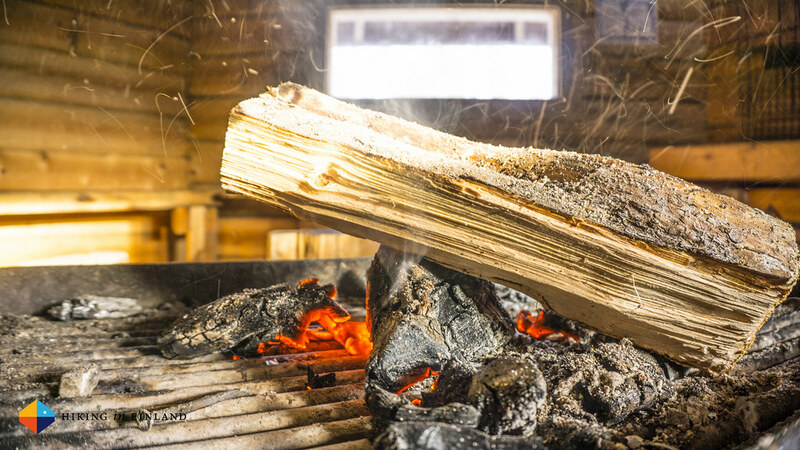 Restaurant Huttu-Uula has won an Chaîne des Rôtisseurs award and is located at the foot of the Polar slope. 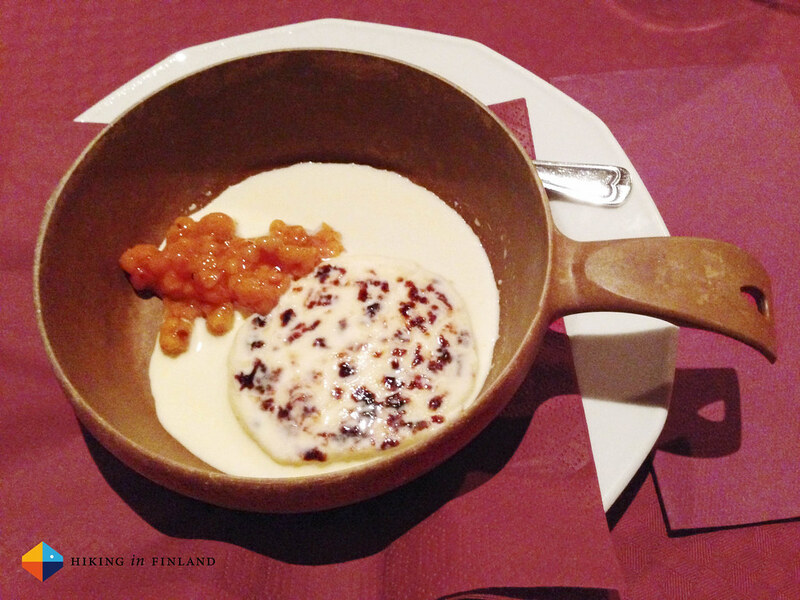 Every Thursday it serves a Lappish Food Buffet with lots of delicious dishes from Lapland. The friendly atmosphere together with the good buffet food make this a recommended visit on a Thursday evening, though you should reserve well in advance as the Buffet is very popular and was fully booked out when we were there. Since I got my Fatbike cycling has been a lot of fun in winter. 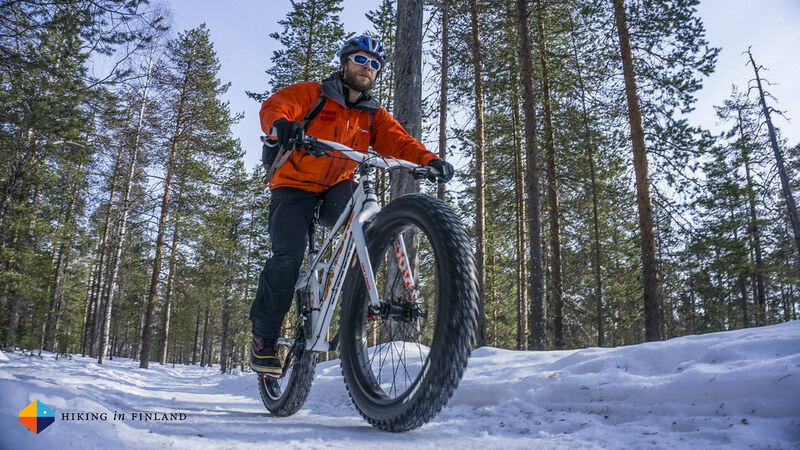 Riding over the frozen Baltic Sea, shredding over the single track in the forest and doing laps on the groomed trails are just a lot of fun, so of course I took the opportunity to go on a Fatbike Adventure at Pyhä. I was very lucky that my friend Artturi was my guide for the morning, and after familiarizing myself with bike and hearing what Artturi had planned for us we hit the trails. After some beautiful, flow-y single track trails we arrived at a large mire which was a lot of fun to ride across. We had a short break at a bird watching tower which allowed for wide views over the National Park, before continuing across the mire - fat tires rock in that terrain! Slowly narrow tracks brought us back to our starting point, and after a nice climb back up to the Hotel this little Fatbike adventure was done. You also can rent a Fatbike for half a day or longer from Bliss in case you want to explore the National Park on your own. 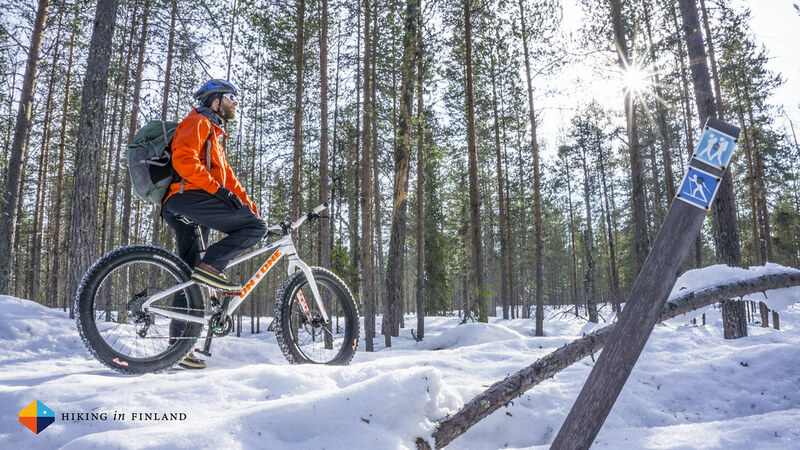 Hats off to Bliss Adventure for offering this service, I think they’re spot on with it and I saw daily very happy fatbike cyclists riding on the trails and snow. 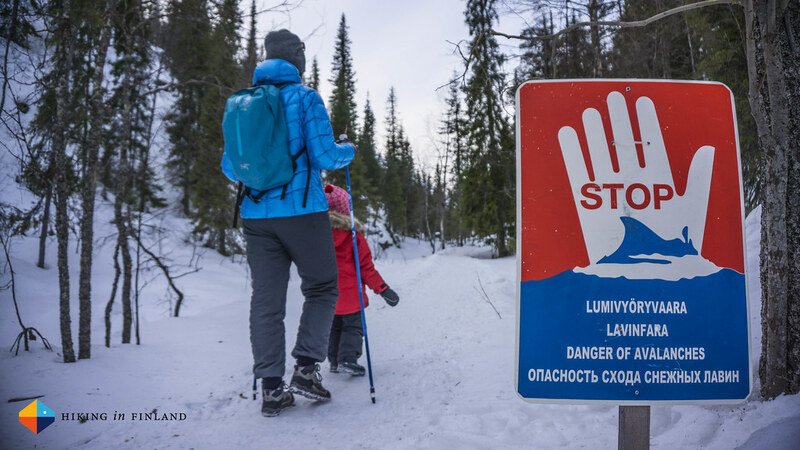 There is a dedicated snowshoe hiking trail in Pyhä, though it was so hard packed that one didn’t need snowshoes to walk on it. So we had a nice little family hike to the Isokuru gorge and back, which includes a steep descent and climb from the nice Isokuru Kota. The hike seems to take the route of the summer nature trail as we passed quite a few signs which gave information about the forest and land, and is ideal if you’d like to be outdoors for a couple of hours. Despite all the activities you can do in Pyhä, there are two things in Pyhä-Luosto everywhere, and they’re for free: Nature and Silence. 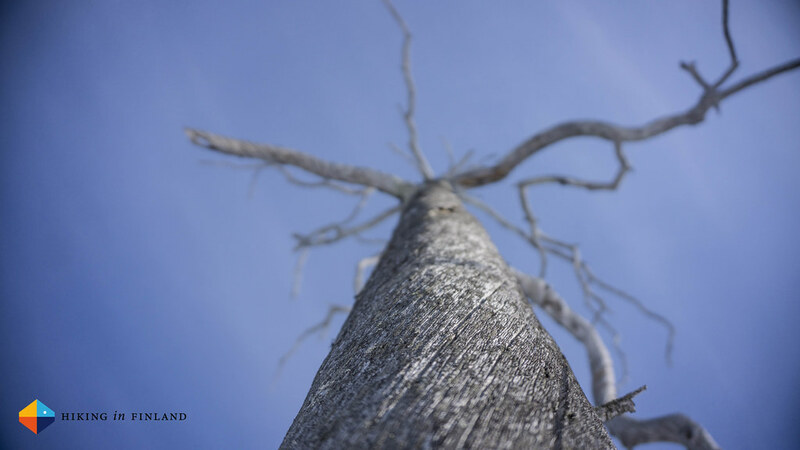 Even with a Baltic Ski Cup going on while we were in the village, we just needed to walk for five minutes towards the National Park and there was a calmness that was just once in a while interrupted by birdsong or the wind blowing through the trees. Pyhä-Luosto National Park is home to the southern most big fjells in Finland, beyond them towards the south starts the flat land. Though this does make them popular I had at no time the feeling that there were too much people around me, for example the lines at the lifts were pretty much non-existent despite there being a bunch of people, and also in the Cafés and Restaurants there were never masses of people. As someone who values silence a lot I found Pyhä a great place, with easy access to nature and the possibility to “escape” the main slopes and head into the National Park, where even on blue bird days I didn’t meet more than a handful of people. We stayed at a Ski-Inn PyhäSuites Apartment which was ideally located right next to the slopes. The apartment was super family-friendly and had two bedrooms, a small kitchen, living room, balcony, a own Sauna and a drying cabinet to dry wet garments and gear (super handy with kids!). 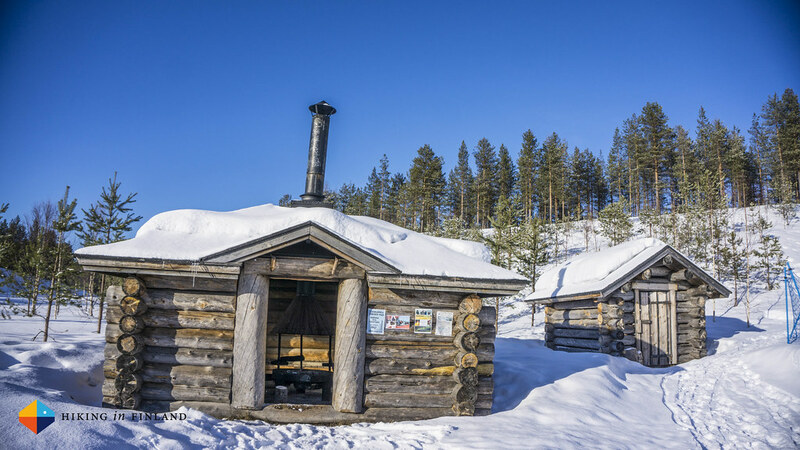 There are plenty more options in town, from the nice Ski-Inn Hotel Pyhätunturi to many, many cozy cabins and even a caravan site if you’re coming with your own accommodation. You’ll surely find something to your liking, keep an eye out for deals, though, as at e.g. 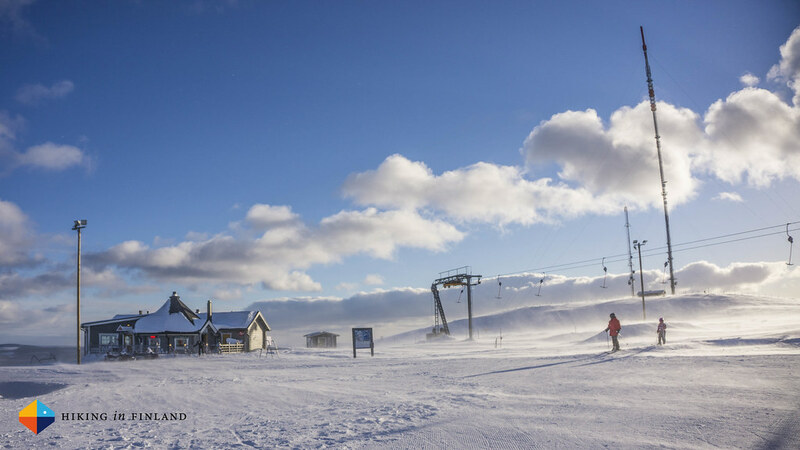 the Ski-Inn PyhäSuites Apartments ski passes can be included in the price saving you a bunch of money! As we don’t own a car we rented one for a week and drove up north. Vaasa - Pyhä is around 660 km and with a toddler along we decided to split the journey in two and spend a night in Oulu. If you come from abroad you might want to fly directly to Rovaniemi and take the SkiBus to Pyhä, or take the (overnight) train from Helsinki and then jump on the SkiBus. In the village you can walk pretty much everywhere within 15 minutes, and there’s a variety of shops to suit your needs. 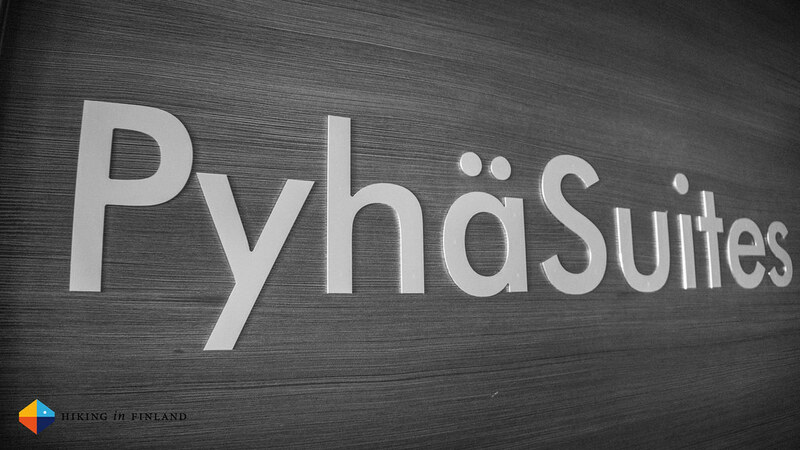 Thanks to the Pyhä Ski Resort and their Partners which invited us up north.